...I take pictures of the amazing light outside the house. 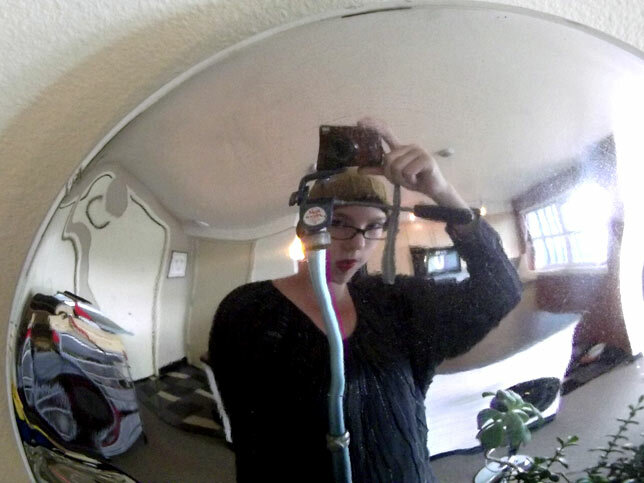 Other days I just take silly self portraits (yes that is a drum carder n the background). Hub caps as mirrors create some unfortunate distortion effects though!